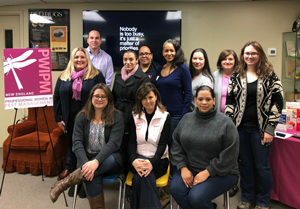 On Jan. 8, the Professional Women in Pest Management (PWIPM) of New England held its first training of 2019 at Big Blue Bug Solutions. Attendees came from Massachusetts and Rhode Island. The “Organization and Productivity” class was taught by Brian McEwen, director of sales at the Big Blue Bug. The goal of the class was to have everyone take away two to five actionable items that could be implemented immediately. The group discussed “Barriers to Our Days,” “Urgent and Important Items,” “Multitasking,” “Delegation” and “Technology,” as well as group scenarios. The PWIPM of New England is a networking committee to empower and support women in the industry, and is a chapter of the national committee from the National Pest Management Association. For more information on the New England chapter, please contact Chair Marillian Missiti, and to join the chapter’s mailing list for future training classes and events, please contact Co-chair Kelley Altland.